MB&G has helped clients with procurement system and chain of custody certification since 2004. Our staff is well versed in both the Sustainable Forestry Initiative (SFI) and Forest Stewardship Council (FSC) standards, as well as the Programme for Endorsement of Forest Certification (PEFC). We provide organized and expert certification preparation assistance for SFI Land Management (Objectives 1-7), SFI Procurement Systems (Objectives 8-13), SFI Label Use (Annex I), SFI Chain of Custody (Annex II) and FSC Principles and Criteria for Forest Stewardship (FSC-STD-01-001). 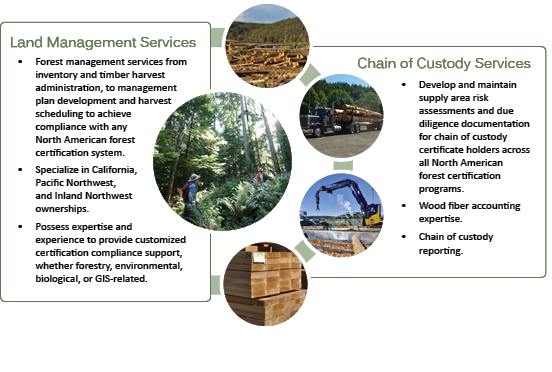 MB&G is uniquely suited to serve the full range of our client’s forest certification needs, from land management to chain of custody accounting and reporting. We possess expertise across a wide array of disciplines, with economists, biometricians, forest managers, GIS specialists, environmental specialists, and wildlife biologists, all under one roof. MB&G has worked with numerous firms, covering most of the timber growing regions of the United States. 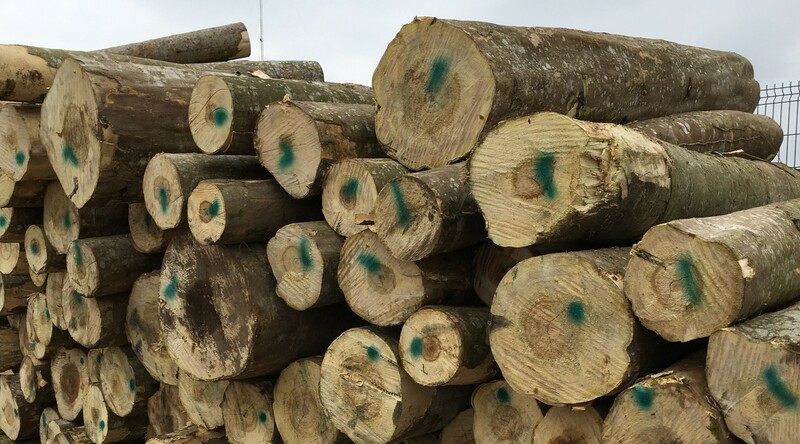 We can provide expert advice and guidance during all aspects of the SFI, PEFC, and FSC certification process and assist your firm in preparing all necessary documentation to meet certification objectives and chain of custody requirements, set up fiber tracking systems and procedures and protocols in preparation for third-party SFI and FSC audits. Our system includes a framework of policies, programs, procedures, and responsibilities for achieving the principles and objectives of the SFI, PEFC, and FSC and standard. Our system will help your organization achieve compliance, communicate accountabilities, demonstrate conformance, and improve the effectiveness of management practices. We have found that these procedures provide order and consistency within an organization to meet environmental goals and ensure compliance by establishing a disciplined system of management. MB&G has forest managers currently managing SFI-certified forest land for a TIMO client in Southwestern Oregon. MB&G developed a Fiber Tracking system to help our clients streamline their annual SFI reporting. If you have to spend every February wrestling data inputs from multiple facilities, then the Fiber Tracker is for you. 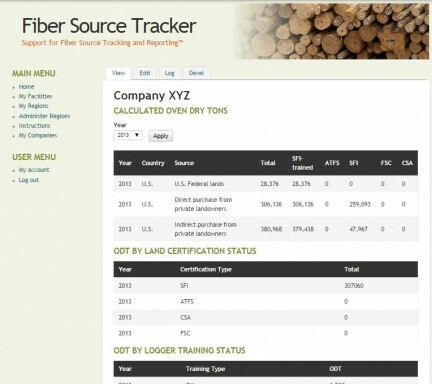 The Fiber Tracker is a web-based application designed to alleviate the stress associated with the annual reporting process. Data is input into a common format and then rolled up into the official SFI report template. Mason, Bruce & Girard, Inc.
©Mason, Bruce & Girard, Inc. All rights reserved.